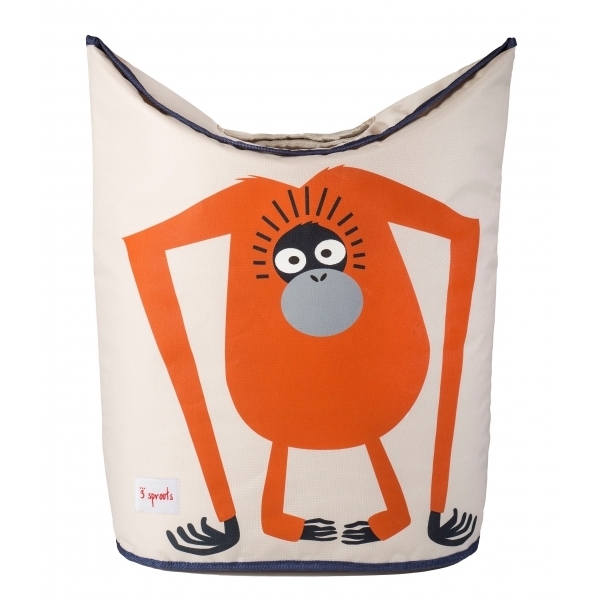 Cute and quirky, this 3 Sprouts Orangutan Laundry Hamper will be a fun and practical addition to any children's room or nursery. Featuring an adorable felt applique orangutan character, the stylish hamper has useful handles for carrying it to and from the washing machine. Other 3 Sprouts storage accessories are available to make a lovely set. This product has added another great finishing touch to animal theme nursery. Love it! Good size. Good quality. And delivered in no time at all. Would recommend!